Dinner at Shoan Kogetsu in Toya, Japan. 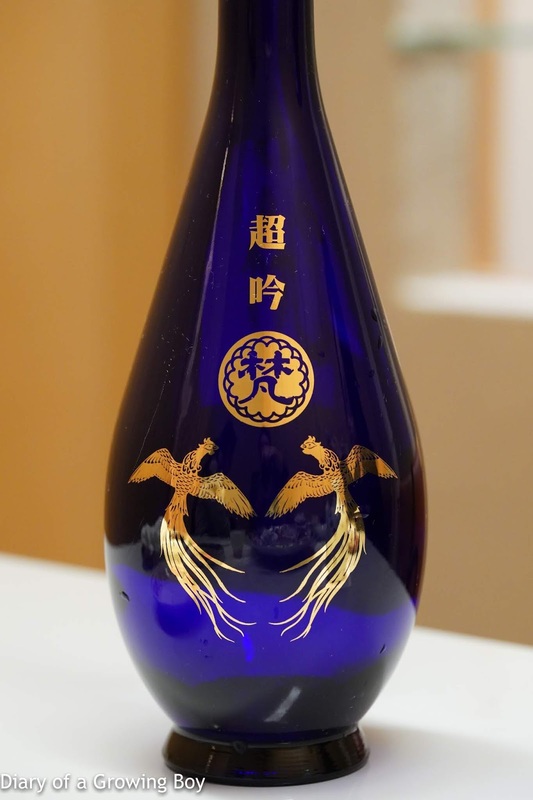 Born Chogin Junmai Daiginjo (梵 超吟 純米大吟醸), 30BY - seimaibuai (精米歩合) of 20%. Mostly sweet on the attack but dry in the middle and on the finish. 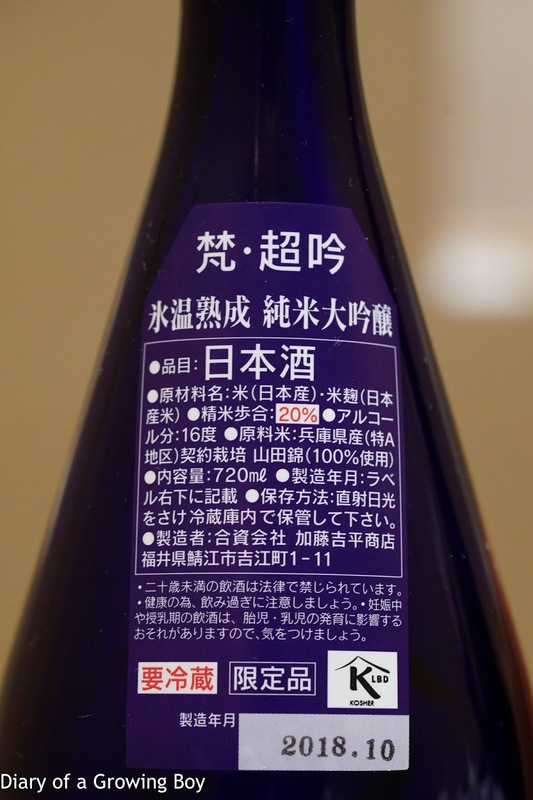 Good concentration mid-palate, and definitely turns dry and spicy (辛口) towards the end.